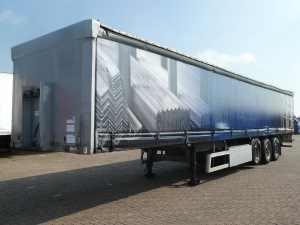 The first place to look for a new semitrailer should be Kleyn Trucks. 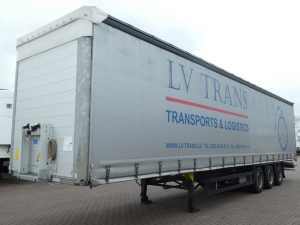 We are one of the largest used truck and trailer companies in Europe and have 100 years of experience. 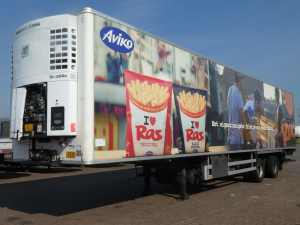 Our purchasers are driving through Europe each week to find the highest quality stock. 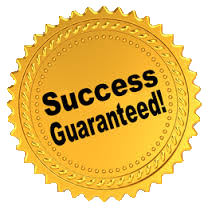 Each item has to pass a stringent inspection where we rate its quality regarding to its age. This information is published on our website and is TÜV certified for every vehicle. 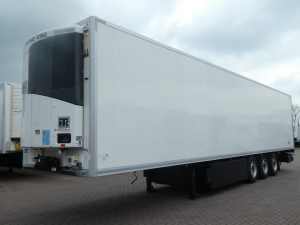 We have all the types of trailers available. 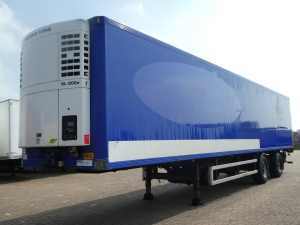 Whether you want to transport boxed goods, or need refrigerated transport we have a curtainsider or frigo trailer. Perhaps you need your trailer to transport liquids like milk, fuel or oil, or even a cement mixer. We have a trailer for every job. Our advisors are happy to help you choose the best semitrailer for your business. If you’re not sure what type you need, we’re here to help. Just contact us with your question and with your transporting needs and we gladly help you out. 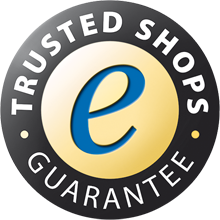 We have done so for 100 years with countless satisfied customers. 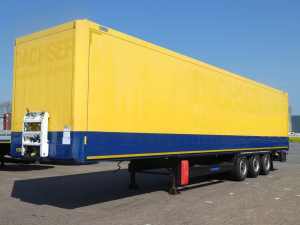 A semi-trailer is a trailer that has no front axle, so a large proportion of the mass is supported by the prime mover (the tractor unit). The semi-trailer is attached to the tractor unit by sliding its kingpin into the fifth wheel coupling on the tractor unit. 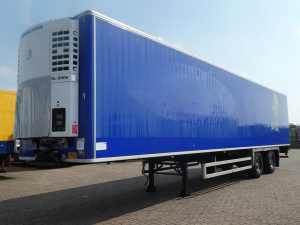 The complete unit is referred to as a tractor-trailer combination. 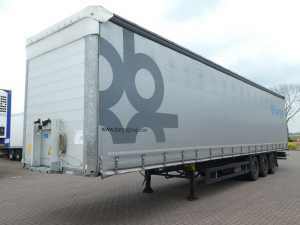 To keep loading and unloading times to a minimum, several semi-trailers can be used with a single tractor unit so that the driver and the tractor unit are not made to wait. Tarpaulin-top semi-trailers are used as general-purpose trailers. This design keeps the load clean and dry. 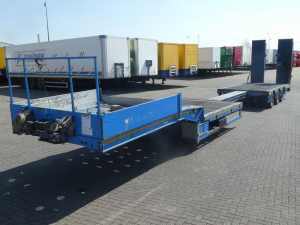 Semi-trailers for container transport are fitted with one or more platforms on which containers can be secured in place. A low-loader is used to transport high objects. A silo is a storage facility for tippable or bulk goods in the form of powder or granular products like grain, coal, cement, cattle feed, sand, gravel and fertiliser. 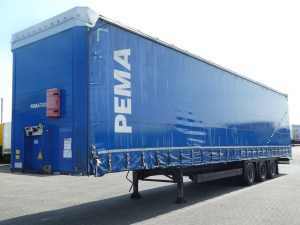 A semi-trailer with a Walking Floor is the ideal solution for loading and unloading heavy objects. 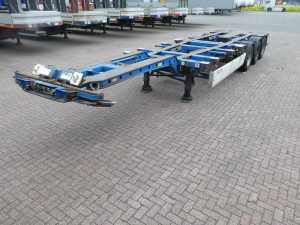 Semi-trailers that can be towed by drivers with a car and heavy trailer licence (rather than a truck driving licence) are available in capacity classes and lengths that far exceed those of normal trailers. Lengths of up to 12 metres and a gross weight of approximately 10,000 kg are possible. 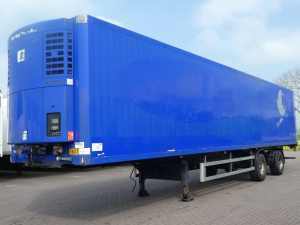 This makes this type of trailer an ideal solution for many companies. 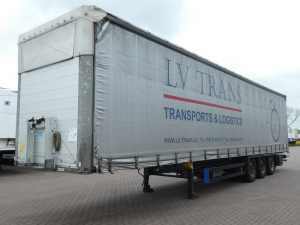 If you are looking to buy a used semi-trailer, you have come to the right destination. Yes, we say the right destination because we have the longest history of being in the business for the last 90 years. 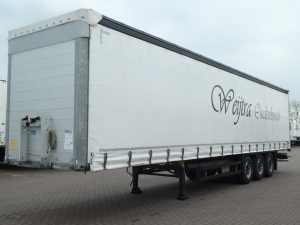 Of the various semi trailer truck brands that we offer, a few are Nooteboom, Schmitz, Goldhofer and Krone among others.Select the type of the semi-trailer you desire, read the inspection report and hit the ‘Order Now’ button.